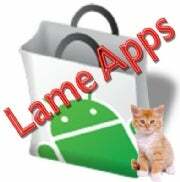 Will Google's DIY Apps Boost the Lagging Android Market? Google is trying to bridge the massive gap between the Android Market and Apple's App Store for iOS with App Inventor. The application allows anyone to build a smartphone application, with no technical know-how required. It sounds like a great idea, until you think about all the crappy apps that could flood the Android Market as a result of lowering the development bar. As it stands right now, Apple's iOS App Store hosts around 225,000 applications from over 43,000 developers, while Google's Android Market ranks at a distant second with around 60,000 apps, and over 10,000 developers on board, according to official figures and a report from AppStore HQ. Google's App Inventor tries to bridge this sizeable gap between the two rival application stores by basically empowering anyone with an idea to make an app for Android phones. App Inventor is a Web-based application that lets you drag and drop buttons and text to make an app, without you having to enter a line of code. However, Google's idea to artificially inflate the numbers in the Android marketplace might not be ideal. Google made a brief promotional video for App Inventor, which shows a woman building very quick an app for her Nexus One. That's great, but the problem is that the only thing the app does is to play a cat sound when you tap on a picture of the feline. Android supporters will be quick to point out that the openness of the Android Market paired with App Inventor will be a boon for the platform, which is slowly gaining traction against its biggest rival to date, Apple's iPhone. But the reality is that the quality of most apps in the Android Market is not always on the par with their iPhone counterparts. To the resentment of iOS and App Store supporters, Apple's applications store hosts a lot of useless apps as well: from dozens of fart generators, to mirror apps (which basically just turn off your screen), and to several flashlight apps. However, the general consensus among industry hotshots is that iPhone apps are better designed than their Android counterparts, with a few notable exceptions. You won't find in Apple's App Store apps like Google Voice , Nintendo emulators , or built-in keyboard alternatives like Swype . Going back to Google's App Inventor, if the Android Market will see a flood of useless cat-sound making apps, or any similar apps, this will not aide Android's cause for quality, but just artificially boost the numbers of the marketplace, in search for parity with Apple. Google's App Inventor could also pose a security risk for users of Android devices. If an ill-intent person develops an app that scams you of your Facebook or Twitter login details, or even banking credentials, there is no gate keeper for Android Market to ban these apps -- unless Google itself takes initiative and pulls them from your device, like it did with two apps in late June. Though the prospect of empowering any dedicated Android phone owner with the ability to make apps, Android needs more quality apps and less junk to finally take over iOS.